The Xtreme Piranha range was created with the help of our sponsored Dart World professional players. The special coatings of titanium silicone nitrite and gold and black titanium nitrite gives a distinctive look and feel that is appealing to the pro player. Paired with the new tapered long Piranha Point and Galaxy metal case. 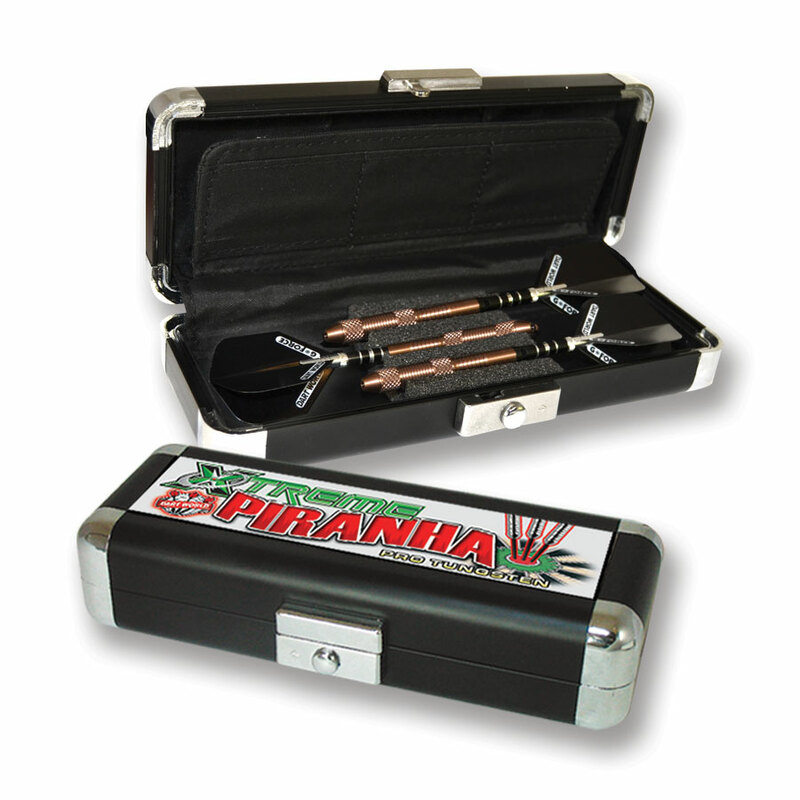 Xtreme Piranha is a step above the world class Piranha range.